Daylight K – 2nd Grade Classrooms Under Construction! 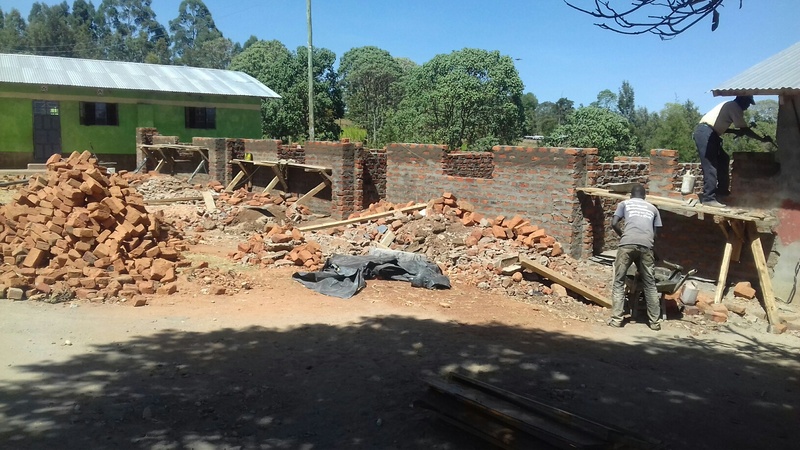 Each year our amazing partners from Rochester, MN work alongside Daylight Kenyan staff to raise the funds and build a new building at Daylight. 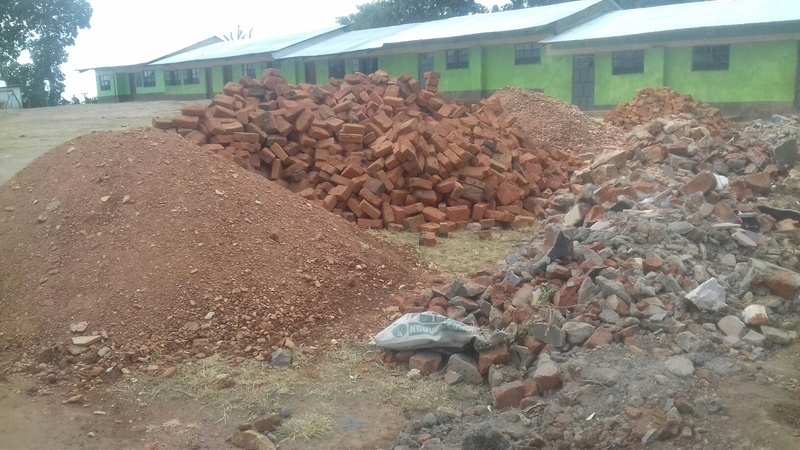 This year we are building 3 new classrooms for our Kindergarten, 1st, and 2nd Graders! The original classroom were made of timbers and sheet metal. 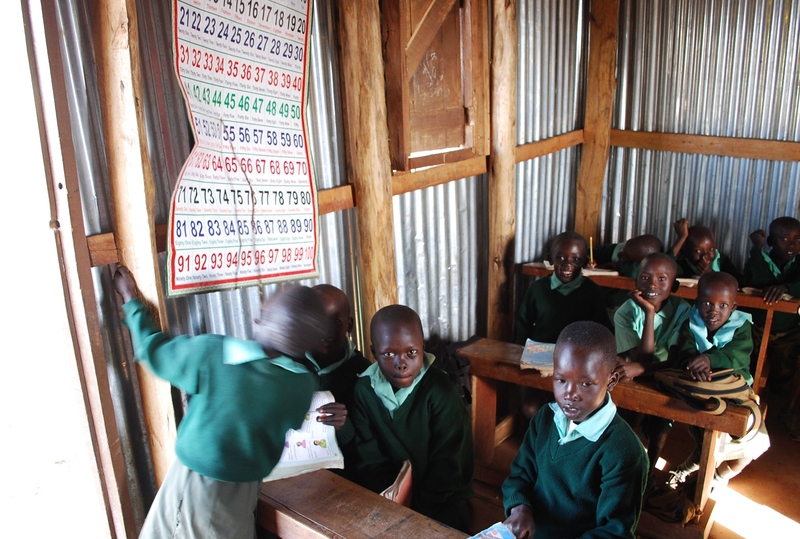 But as this metal classroom aged the children needed a permanent classroom. It takes a lot of raw materials to build a classroom. The builders salvaged the materials they could from the old structure (pile on the right). Then the community held a fundraiser and the families of the students, neighbors, and community leaders donated bricks to help! Then the old structure was torn down and the children had class in another building. A deep trench was hand dug for the foundation of the walls. 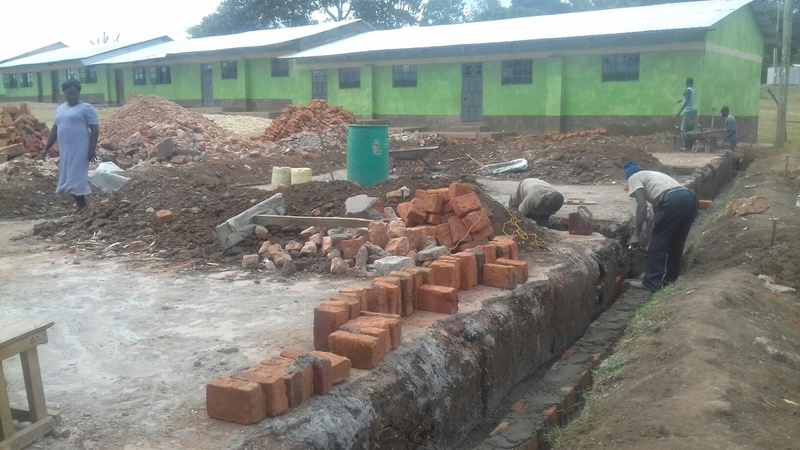 That’s Angelia Kimpur supervising the work!The buildings in the back our the 3 – 8th Grade Classrooms – that’s what this new building will look like when its completed! Then the cement is mixed and each brick is hand laid – one on top of the next. The walls are half way up already and you can see the beginnings of the windows! The Rochester Team will be coming in March to join the workers! The Rochester team will also hold a free community clinic, build desks and tables, and roof the building! It is a fun week where the Kenyan builders and the Rochester team connect as friends. Thank you for your support of Daylight. Your partnership makes this classroom possible!